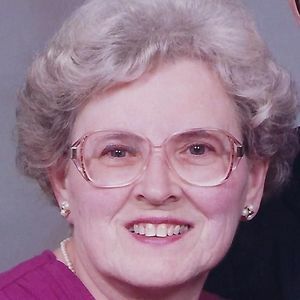 Audrey A. Kasper, age 90, passed away on Thursday, November 22, 2018 in Madison. She was born in Beaver Dam on May 2, 1928 to Edward and Regina (Marlewski) Gergen. Audrey married Don Kasper on August 11, 1951 at St. Peter's Catholic Church in Beaver Dam. Audrey is survived by her husband Don; children, Gary (Mary) Kasper, Linda (Brian) Pankow, and Michael (Cory) Kasper; 8 grandchildren Sindy (Nigel) Jenkins, Leidy Kasper, Steven Pankow, Kristen Pankow, Kenneth Kasper, Matthew Kasper, Anthony Kasper and Carissa Kasper; 3 great-granddaughters, Amelie, Maya and Cleo. She was preceded in death by her parents; and a brother Kenneth Gergen. A Mass of Christian Burial will be held at 11:30 a.m. on Wednesday, November 28, 2018 at Sacred Hearts of Jesus and Mary Catholic Church, 227 Columbus Street in Sun Prairie. Monsignor Duane Moellenberndt will preside. Burial will be at Sacred Hearts Cemetery. A visitation will be held from 10:30 a.m. until the time of Mass at the Church on Wednesday. In lieu of flowers memorials may be made to Sacred Hearts Church.